The Tradition 1 shell features six spa seats that sit in a circular formation. Each seat is an upright seat with a different configuration of massaging jets. The 61 jets are dispersed unevenly so that each seat gives a different type of massage. Different configurations are made with a combination of neck jets, power storm jets, poly storm jets, mini storm jets, cluster storm jets, volcano jets and ozone jets. The seats are ergonomically designed, meaning that they are made to support, hug and curve with the natural shape of the human body. 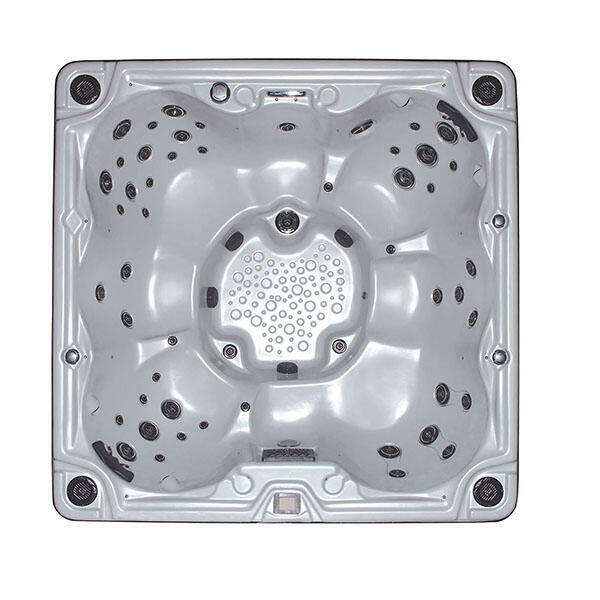 The inner shell is made with high-density polyurethane, which is an advanced marine-grade material that is nearly indestructible, and brand new to the world of spas. The HDPE is finished with the Viking SOFT TOUCH slip resistant, soft-as-satin surface to prevent slipping and falling in the spa. For ambience, the Tradition is equipped with lighting, cup holders, and a built-in waterfall. 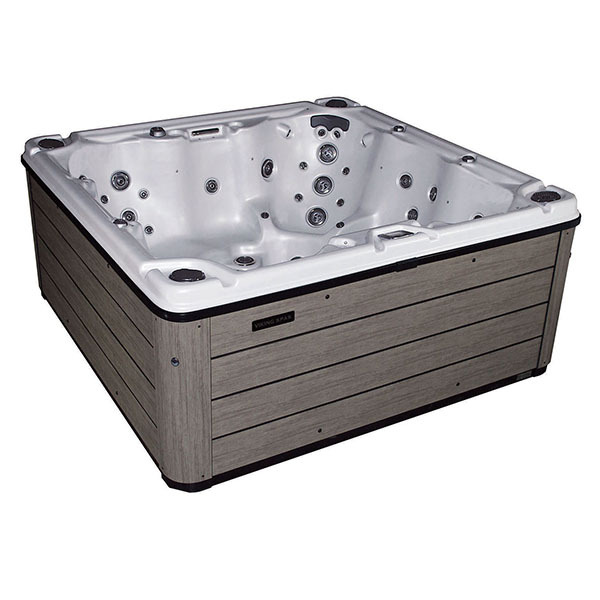 You may also choose to add a marine-grade stereo system and a unique low-chemical water purification system. Dimensions 92" x 92" x 38"